The H2020-funded projects CHE (CO2 Human emissions) and VERIFY (Verifying Greenhouse Gas Emissions) held a joint General Assembly between the 12th and 14th of March 2019 at ECMWF, in Reading, UK. The meeting consisted of discussions on CHE and VERIFY work packages, collaboration opportunities, external lectures and working groups. The summary of this successful and fruitfull event is available here. A feature article is also available on ECMWF website. Day 1 (12th March 2019): Presentations and discussions on the work of the CHE project. Day 2 (13th March 2019): Science presentations and discussions on CHE-VERIFY collaboration topics. 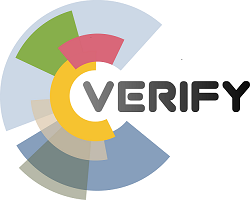 Day 3 (14th March 2019): Presentations and discussions on the work of the VERIFY project. All days will also contain presentations from external invited speakers such as the European Commission on topics of relevance. The final agenda is available below here, as well as all the presentations. The event also included a poster session, posters that you can also download below.